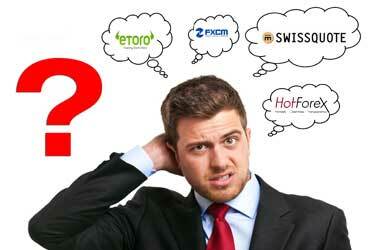 How to choose a forex broker , Complete Guide. It is important to consider before you choose a certain honest forex broker for starting with the trade as there are number of forex brokers growing legally and illegally. It is that not all the brokers provide their customer with same packages. A trader should be in a position for knowing and choosing a broker who shall offer reliable and suitable forex services based on the traders’ needs. The following are the various factors to be considered while choosing a forex broker for trade. The dealing desk brokers are also named as the market makers. Here the dealer usually takes the rival position in your trade. The other broker Electronic Communications Network (ECN) electronically keeps the orders you place matching accordingly. They do not take a rival position in your trade when your orders actually don’t match with the others’ trade. Regulated or Non-Regulated: Regulation is something that has to be given proper attention while choosing a reliable broker for performing forex trading. There are several problems associated with the brokers who are unregulated. Any problems you get during the funds deposit or the withdrawals you cannot seek any legal points for help and in turn you cannot file any complaints with unregulated brokers. Types of Accounts: The types of accounts provided by the brokers are many in number. They depend on various other factors like the features you need from the broker and the investment range. Mostly forex trading accounts like mini, micro, standard and demo are offered by the brokers commonly to their customers. You have to care on choose a trading account from a broker fitting your initial deposit, the strategy and risk tolerance level you can choose. Types of Trading Platform They Provide: Trading platforms are some interfaces where you can understand what and how is the trade happening in the forex market. Having said that, they have to be available with some pictorial graphs, charts and few packages and features which can help analysing the market trend. A trader can also fix the best platform for trading and can search a broker who can provide such a platform at the same time can fulfil being a reliable broker. Commission and other charges: Almost all of the brokers charge some fee for any and every trade that occurs from their customers. Some of the broker charges interest on the transaction that goes held overnight. There are few brokers who work out the fee as some hidden charges. Hence they gain profit without any risks. Even if you fail to gain profit, they never fail to charge you. Deposit and Withdrawal Methods: Deposit and the withdrawals of funds from the forex account are some important things which will need proper attention while choosing a forex broker. Few brokers have restrictions on the limit of funds for either deposit or withdrawals. This is as an outcome of the regulations the brokers have got. Unregulated brokers hardly have restrictions for funds deposits and withdrawals. Any disputes during the withdrawals can have a proper response from the broker who is regulated. So it is advised not to seek a broker which is unregulated. Customer service is one of the important points to be taken care while choosing the broker. After all the account has been setup and when customer needs to contact the broker through toll free number, email, live chat etc., they have to be reachable and respond the customer queries gently. There are also many other forex brokers who rolls out offers, promotional services, rebates and other bonuses. They can be useful for a trader in many ways. After understanding all the above mentioned points, some of you may feel that no good broker can have all the features. Yes, But you should be able to think on what the broker has to have mandatory so that you don’t fall as pray to the wrong broker and drain your hard earned investments.